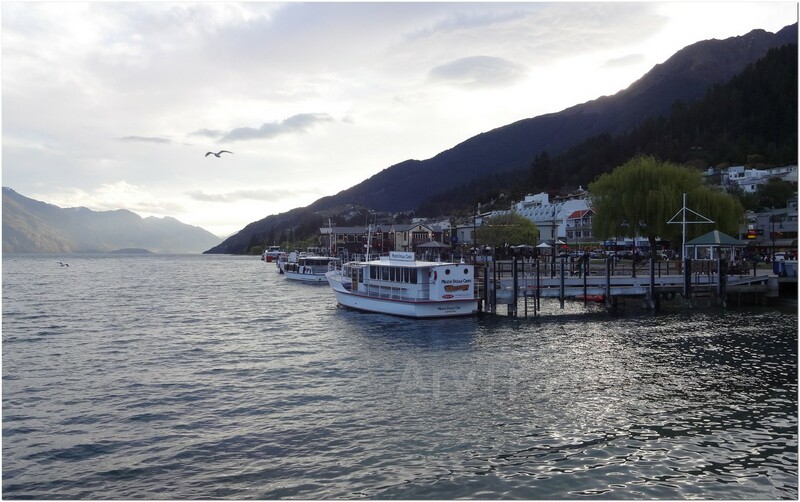 Sitting in between the Southern Alps and beside the lake, Wakatipu, the beautiful small town of New Zealand justifies its name well, the queen of all the towns “Queenstown”. It holds the reputation of being the Global adventure capital of the world. From Backpackers to Luxury travelers- Queenstown has enough experiences and adventures stored for everybody. It lies between the Southern Alps and Lake Wakatipu, the beauty combination is indeed a treat for the eyes of any travelers. Along with the natural beauty, it is also a place to party. So in every aspect, Queenstown can satisfy the need of every kind of incoming travelers. Five rivers are flowing inward to this amazing lake, where there is another one flowing out. This lake is shaped like a cartoon thunderbolt. This lake is world’s second purest lake. So you can try drinking the water straight from the lake without thinking anything. The beach lovers can try the beach by Marine Parade. Though, the water can be too cold to enjoy a swim. According to the Maori tradition, the lakes shape is described as the evil giant Matau is sleeping with his knees drawn up. You can also enjoy the beauty of this lake and surrounding Mountains from the cruises available here. The Remarkables Mountain range across the river Wakatipu is one of the magnificent sights. The amazing skyline Gondola can take you to the Bob’s peak. Also, you should not miss the amazing view from the Coronet Peak. • If you dare, then try the Bungy Jumping off the Kawarau Bridge. • The sky-diving is another fun experience that you cannot afford to miss, you can also try Canyon Swing and Paragliding in Queenstown. • You can also check the amazing vineyards of Gibbston Valley near Meandering valley of the Kawarau River. Check out the different kinds of cellars and also, try the ride on retro-style Schwinn bikes on Gibbston River trail. • Try a half an hour long jet board ride through the rocky Shotover Canyon. • You can also try Mountain Biking or Hiking through the surrounding mountains. Although supposedly named after a Myth of local gold-digger referring this town as a town fit for Queen Victoria, this town can seriously quench the thirst of all kinds of travelers. Saving this post! New Zealand is a must see place. There is so much to do there. Anyone who loves to be outdoors and have adventures will love visiting New Zealand. Your vids are awesome!! It's exciting just to watch and read your review on traveling there.